The Youth, Family and Education Committee of the Beaver Creek Regional Council work to bring you information and facts regarding issues affecting our community. Its goals are to generate social, recreational and educational opportunities for all residents, with special attention being given to school-age youth, families and senior citizens. 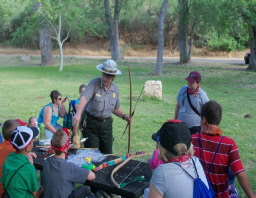 Advocating and working towards safeguarding the general health and welfare of the Beaver Creek residents. The George Yarrington Scholarship Fund - $500 towards a qualified senior graduating from the Beaver Creek area. Builders Club - Encouraging boys and girls in Beaver Creek Elementary School (grades 5 through 8) through community activities and learning self-esteem. 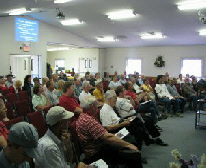 BCRC Organizations and Committees support activities promoting community wide health and safety programs. DOES YOUR ORGANIZATION NEED TIME, ENERGY, AND RESOURCES TO ADDRESS THAT UNMET NEED IN THE COMMUNITY? 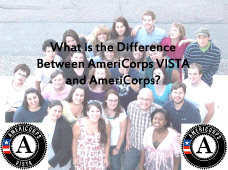 AMERICORPS VISTA can help you tackle those dream projects that you never have time to turn into reality. The Cost-Share Partnership is an inexpensive way to provide the people-power that your organization needs to help create or expand programming to respond to the needs voiced by your community. Community organizations and the Beaver Creek School are sponsors of the Community Food Bank - Collecting and distributing food to needy families at Thanksgiving and Christmas, and as needed throughout the year. The Beaver Creek Regional Council sponsor and co-sponsors a variety of workshops and forums throughout the year on issues of important to its residents. Individual Council Committees and Organizations are responsible for collecting and disseminating information on quality of life, environment , education and economic issues of significance. Local civic groups network to support the Beaver Creek School District Extra Curriculum programs. 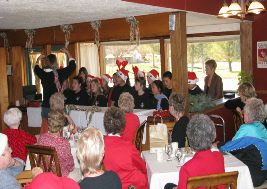 Social events often are held regularly as a way to keep in touch with each other and raise funds for community charities. 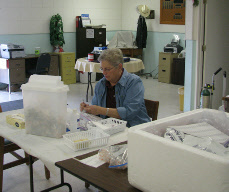 Annual Flu Clinics help keep residents healthy at free or reduced costs. The Beaver Creek Community enjoys friendly neighborhoods, a quiet lifestyle and the rural feel of the area. 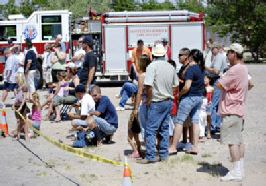 Residents have a strong sense of community demonstrated by their contributions and support for a variety of initiatives and programs throughout the area.